The Canadian Medical Association is seeking a dynamic, transformational Editor-in-Chief to lead the CMAJ Group into the future. The CMAJ Group is inclusive of the CMAJ (Canadian Medical Association Journal), CMAJ Open, the Journal of Psychiatry & Neuroscience, the Canadian Journal of Surgery, and the magazine Santé inc. As the Editor-in-Chief, you will report directly to the CEO of Joule Inc., a wholly owned subsidiary of the CMA, and will work closely with the CMAJ Group Publisher. Founded in 1911, the CMAJ has a rich history of contributing to clinical health care delivery and health policy discussions through original clinical research, analyses and reviews, news, practice updates, and editorials. As Canada’s only General Medicine Journal, the CMAJ and its sibling publication, CMAJ Open, reach a diverse readership in Canada and abroad which includes physicians, health care professionals, policymakers and the public. 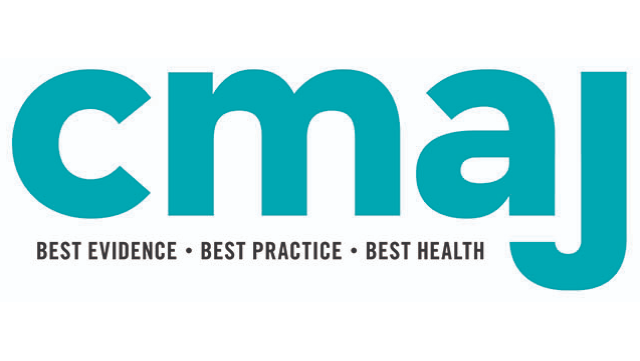 With the goal of continuous improvement and relevance, the CMAJ publishes 50 digital issues and 12 print issues each year. As the ideal candidate, you are a highly creative and agile leader who can advance a vision and strategy to evolve the CMAJ. You are savvy with technology and social media and have used that expertise to leverage opportunities to continuously modernize a publication. You have the proven skills and experience to drive change in an evolving industry. As a leader, you inspire your team to work collaboratively, fostering a culture of trust, respect, communication and innovation. You are skilled in stakeholder engagement and acting on priorities to achieve impact. You have a track record of successfully evaluating scientific evidence for the purposes of a peer-review process in clinical research and have editorial and leadership experience. You have exposure to new and evolving formats and techniques for knowledge transfer, as well as academic and/or scientific environments. You are a business savvy leader who is motivated to take on the unknown, and who is comfortable thinking out of the box. You are recognized and applauded for your ability to stimulate and encourage healthy debate, to drive consensus, and to inspire a broad and diverse group of stakeholders around a shared and compelling vision, with the goal of advancing priorities to impact change. Having clinical practice and/or current medical research background is considered a valued asset, as is the ability to communicate in French. If you are interested in learning more about this Ottawa-based opportunity, or to formally express your interest, contact John Caminiti and Spencer Covey in Boyden’s Ottawa office at jcaminiti@boyden.com and scovey@boyden.com. Please state “CMAJ, EiC” in the subject line of your e-mail. We thank all applicants for their interest, however only those under consideration for the role will be contacted. Joule is committed to fostering a collaborative culture grounded in diversity and inclusiveness and follows employment practices that are in compliance with the Accessibility for Ontarians with Disabilities Act (AODA).